When we reported that Google was killing off the blob emojis a year ago in preparation for the Android Oreo release, most of you were pleased according to our poll. 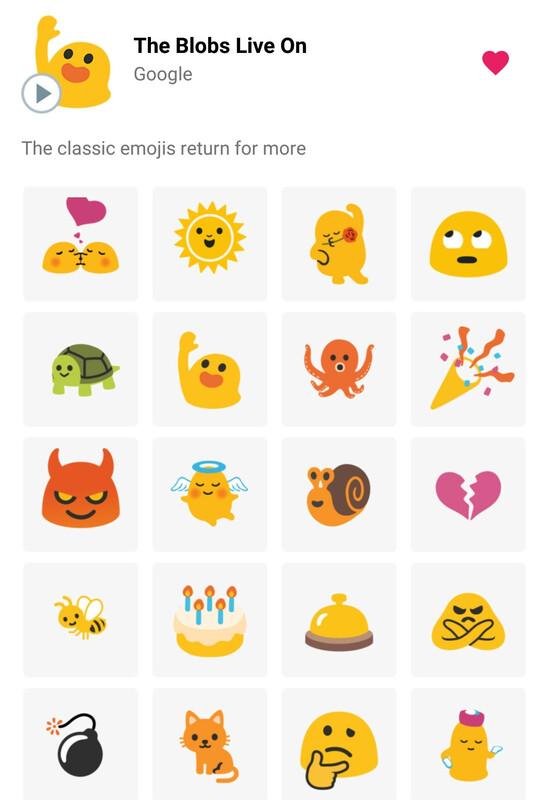 Of course, they did not go away entirely, for the blob emojis lived on in a sticker pack for Google Allo called 'Long Live the Blob'. That change was to celebrate World Emoji Day 2017. But it is 2018 now, and now it the return of the blob. 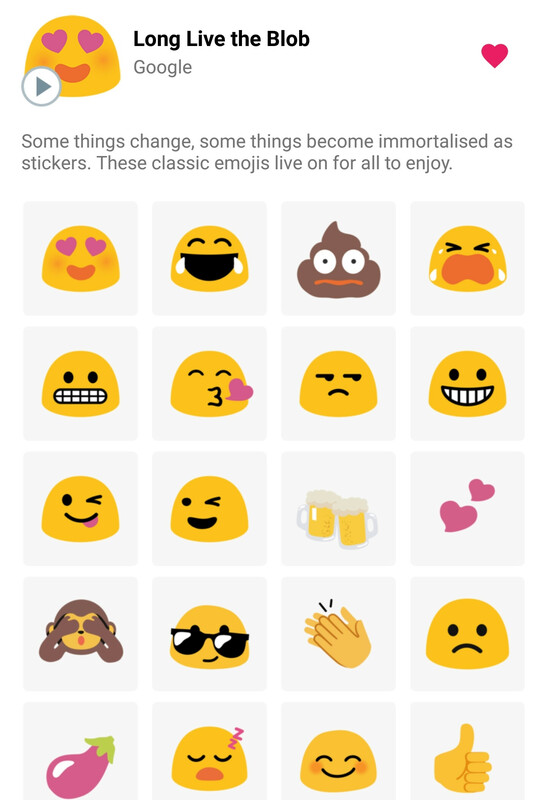 Google announced that they are bringing a brand new sticker pack to Gboard called: 'The Blob Lives On'. The previously released 'Long Live the Blob' is also available on Gboard. Both packs feature 24 stickers, bringing the total of blob stickers to 48. And as they are not emojis, but stickers, everyone will be able to receive them, whether they are using Gboard or not. You can download the two sticker packs by tapping the emoji button next to the space bar, then tapping on the sticker section, and searching for the packs (they both appear if you search for 'blob'). Enjoy the new stickers. I don't want anything associated with the name blob. I still have nightmares from a certain movie with a similar name.